Enjoy great dining without ever leaving our Orlando resort at on-site restaurants like Hurricanes Lounge, Market and our newest addition - LakeHouse Restaurant. 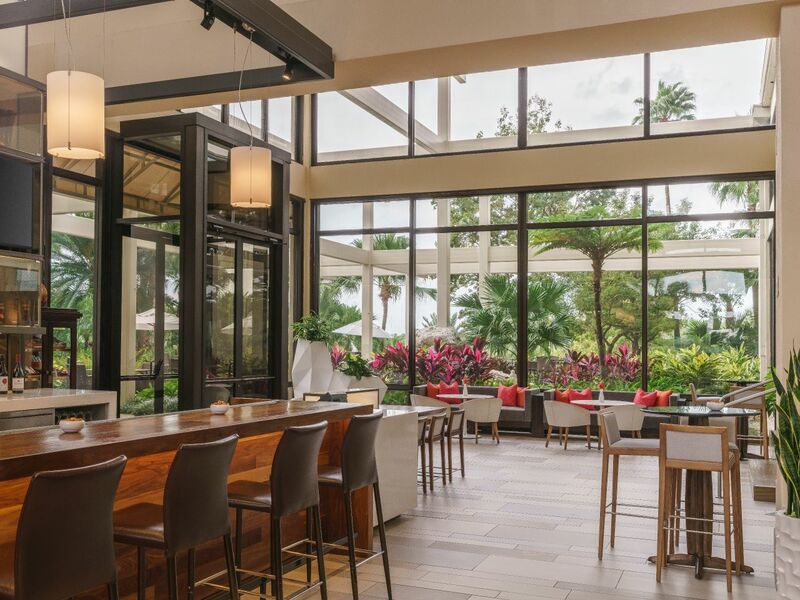 The spectacular settings of the restaurants at Hyatt Regency Grand Cypress offer inspiring backdrops for the delectable culinary creations of our talented chefs. 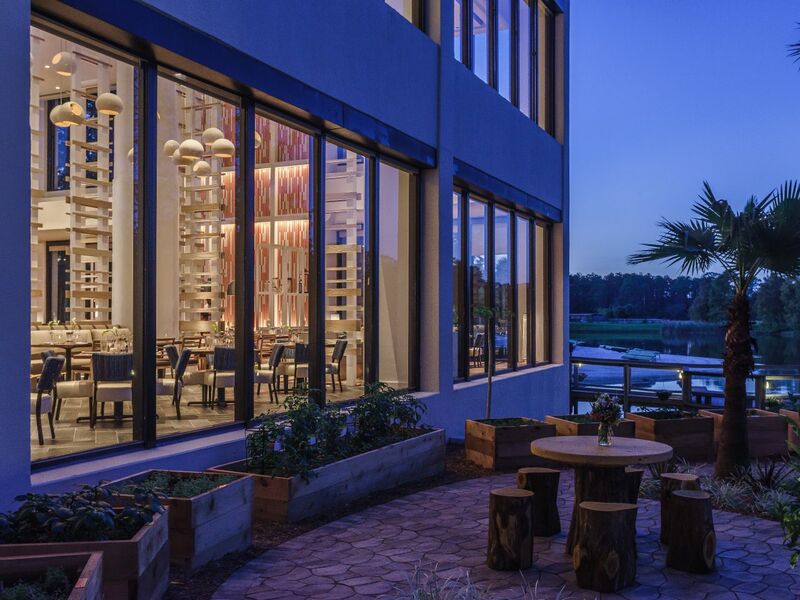 Savor island-inspired fare while admiring beautiful views at Hemingway’s, sample the best Orlando sake and sushi or get a small plate and signature cocktail at one of our popular bars. Offering only the freshest ingredients, our resort eateries are sure to enhance your stay. 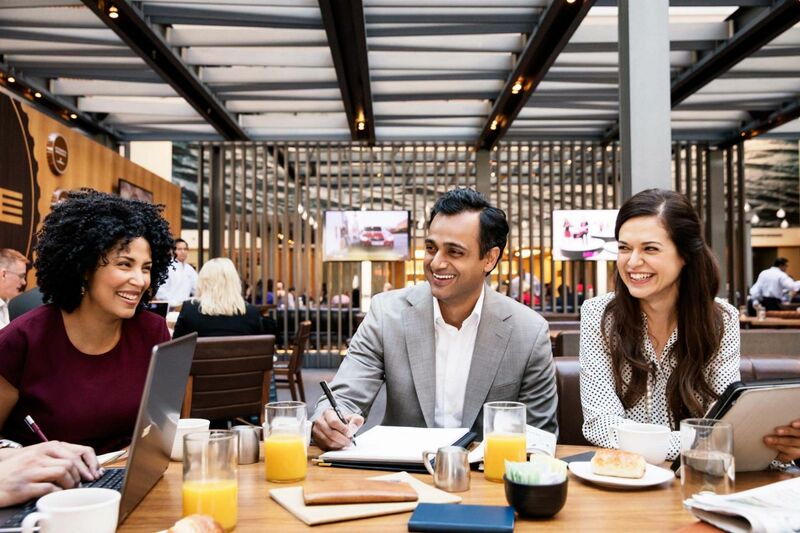 Should you require assistance with reservations at any of our restaurants before or during your stay, we encourage you to use Hyatt’s dedicated E-Concierge service. Ernest Hemingway's expeditions from “Cayo Hueso” to the coast of Cuba are portrayed in many of his writings. 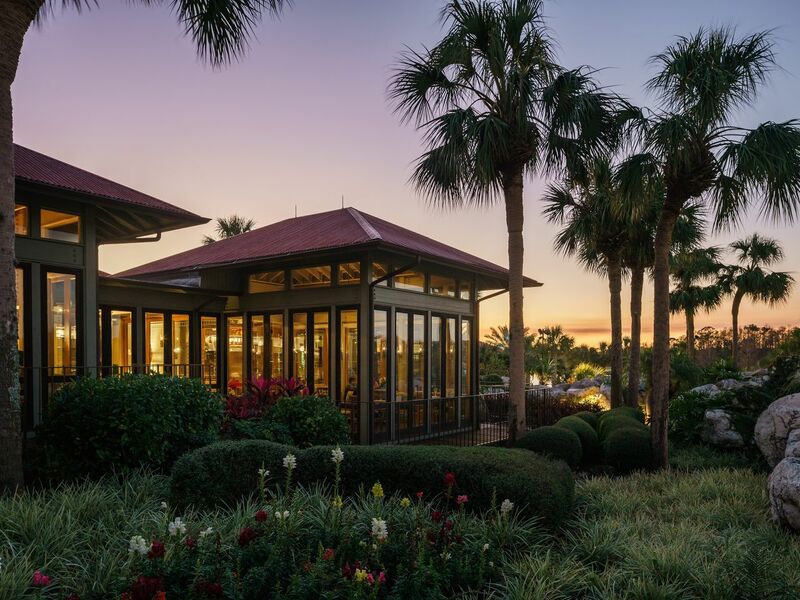 The culture and cuisine of these areas serve as the inspiration for Hyatt Regency Grand Cypress’ signature Hemingway’s steak and seafood restaurant. Hemingway’s is home to many of “Papa’s” favorite dishes—and soon, some of yours. Savor a wide selection of wines, specialty drinks, and desserts, featuring Alaskan-style Key lime pie and delectable pairings. And don’t forget to ask about our signature Papa Doble, one of Hemingway’s own libations. Experience thoughtfully sourced, carefully served cuisine overlooking our beautiful 21-acre private Lake Windsong. LakeHouse will deliver a wide variety of menu items for breakfast, lunch, and dinner. Hours of operation: 7:00 a.m. – 10:00 p.m.
Breakfast: 7:00 a.m. –11:30 a.m. Resort Casual, no bathing suits please. Visit Hurricanes Lounge and enjoy stunning views of our sun-kissed swimming pool and lush gardens. Choose one of our handcrafted martinis, tropical blended drinks, or world-class wines from our extensive list before heading to your table for light appetizers and mouthwatering tapas. For a truly local Orlando experience, try our signature drink, the Papa Doble. Resort Casual. No tank tops or bathing suits, please. Glass walls, vaulted ceilings, leather banquettes, and the bright, open air-setting of our 18-story lobby lounge make this indoor oasis the perfect spot to enjoy specialty drinks and good company. On the Rocks is situated along Lake Windsong, offering views of the lagoon pool and beach. 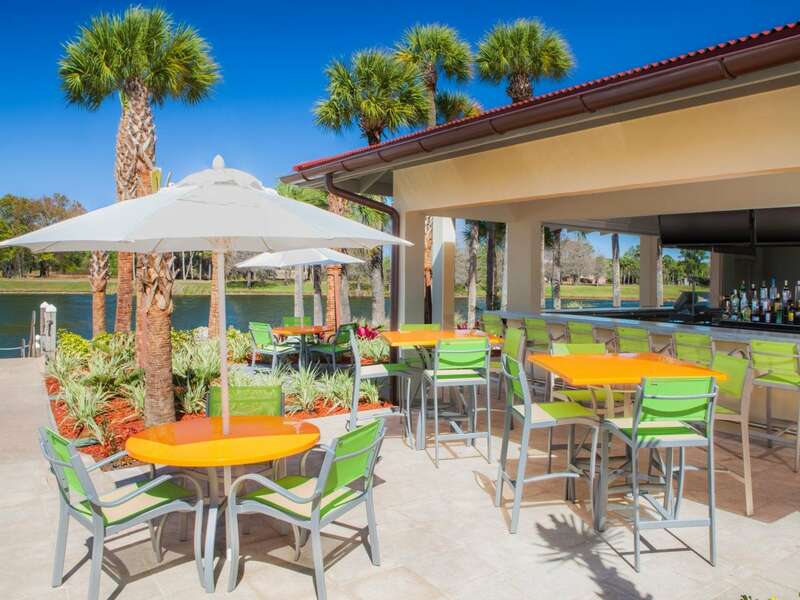 The hub of outdoor activity at Hyatt Regency Grand Cypress, On the Rocks features four 60-inch TVs; relaxing, shaded seating with misting fans; 16 bar seats; and table seating for 20 with full bar and food service. From grab-and-go selections to popular grill station favorites, the pool bar offers convenience and value. 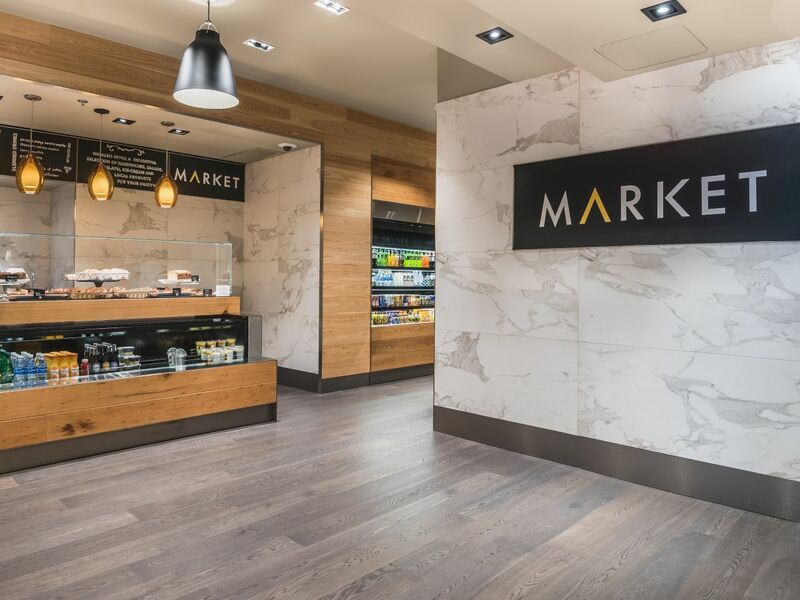 Monday – Thursday: 11:00 a.m. – 6:00 p.m.
Friday – Sunday: 11:00 a.m. – 8:00 p.m.
From handcrafted Starbucks® coffee drinks to fresh-baked treats, our brand new Market offers something for everyone to enjoy during their stay. Looking for a quick bite to go before heading to the parks? Stop by the Market on your way to the theme park shuttle. Craving a late-night treat? We have a curated selection of snacks that range from time-honored classics to locally sourced specialties.